Perfect for all ages. Learn more about marine environments, see an animal up close and ask educators your questions. Available on a first-come, first-served basis. Programs and times are subject to change. Observe animals and their feeding behaviors each day. 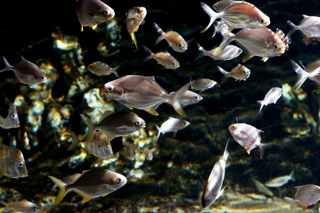 Aquarium educators answer your questions about animal diets and more. 11 a.m. Freshwater fishes at Roan Island. Talk with a diver swimming among sharks, schooling fish, rays and a green sea turtle named Shelldon. The diver answers your questions with the help of an Aquarium educator. Meet and learn about selected animals up close and personal. From jellyfish and crabs to turtles and alligators-you’re sure to enjoy these lively encounters. 11:30 a.m. Guided by an Aquarium educator, you’ll discover fascinating facts about our watery world. Dress up like a shark, touch a turtle shell or test your Aquarium knowledge. 1:30 p.m.
Meet reptiles, amphibians, invertebrates and more up close and personal. Times vary. Discover unusual shells, fossils and aquatic-themed activities with the help of Aquarium experts. Times vary. Watch short, engaging films in the Aquarium’s auditorium. Topics range from sharks and whales to how you can make a positive change in the environment. Times vary. Join us for an animal-related story and animal encounter perfect for young explorers in the Moray Eel Cave 10 a.m. every Wednesday (does not include crafts). Story Time concludes for the 10:30 dive program. Free with aquarium admission. Welcome to Nature Play by the Sea! Adventure happens here every day. Explore more outdoors. Head to the bike path on aquarium grounds and follow signs to Nature Play. 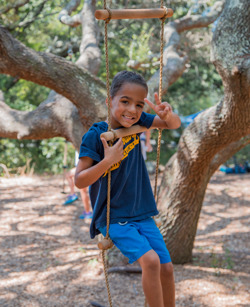 Dig, Climb, Build, Balance, Sing, Jump, Swing and enjoy the outdoors TOGETHER! Open daily 9 a.m. to 5 p.m., conditions permitting. No ticket required.